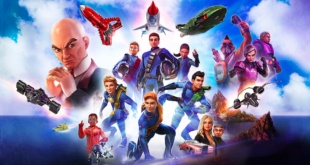 ITV Studios Global Entertainment and Regatta Great Outdoors are putting their Thunderbirds Are Go collaboration centre-stage for October half term with window displays, in-store POS, competitions and special offers. The campaign will continue in-store and online with a competition to win one of five Amazon Fire Kids tablets and a year’s subscription to Amazon Prime. In-store POS kits have also been installed in 50 branches of The Range. 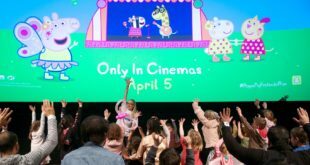 The brand has also teamed up with Fun Kids Radio for a competition which will be broadcast to its DAB radio and podcast audience. Meanwhile, the 22-piece AW17 collection includes t-shirts, fleeces, jackets, hats, gloves and scarfs. The collaboration will continue into spring/summer 2018 with an extended range including tracksuits, shorts and swimwear. The adventure them is celebrated even further with a range of camping equipment featuring coordinating tents, sleeping bags, folding chairs and utility backpacks. The latest series of Thunderbirds Are Go is currently airing on CITV and ITV with 39 episodes now available to watch on Amazon Prime Video. 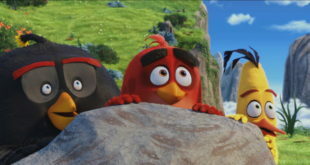 Trudi Hayward, SVP global head of merchandise at ITV Studios global Entertainment, said: “The Thunderbirds Are Go series is packed full of action and adventure, which makes it the perfect partner for this brilliant range of adventurewear from regatta Great Outdoors. 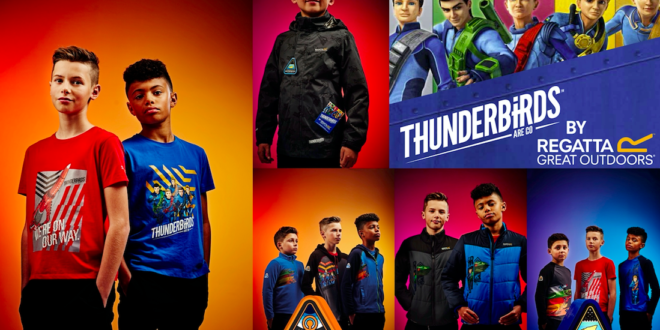 Graham Rickard, managing director at Regatta Great Outdoors, added: “We are delighted to be showcasing our Thunderbirds Are Go range in our own retail channels and with key wholesale partners in the UK and Ireland. 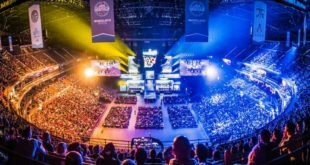 Previous Will delivery subscriptions counter threat of Amazon Prime?